Luis Demetrio Gongora Pat was pulled into San Francisco by Jose, who was pulled in by their older brother Carlos. Carlos was pulled in by a friend also named Luis from Oxcutzcab, and Luis had been pulled in by another Mayan from this same town. The legend goes that Mayans have been pulling each other into San Francisco, since Tomas Bermejo of Oxcutzcab founded Tommy’s Mexican Restaurant on Geary Boulevard in the Richmond District, with his wife Elmy, in 1965. 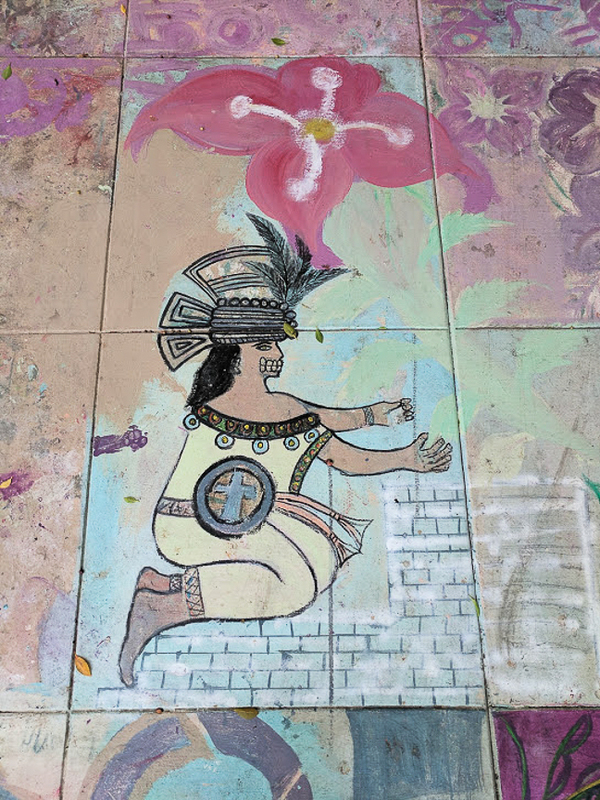 Since then, Mayans from Mexico’s Yucatán peninsula have been arriving to the Bay Area to work in restaurants as janitors, dishwashers, busboys, line cooks, chefs and managers. 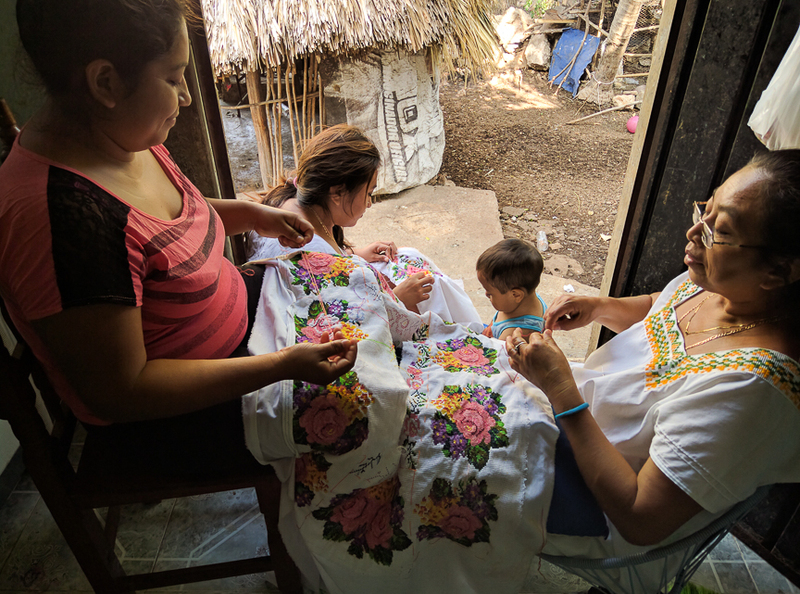 Doña Carmen May Can (far right) embroiders a hipil with (from left) her daughter-in-law Sandy, her daughter Rossana and her grandson, on April 29, 2017. According to official Mexican government statistics, there are approximately 180,000 Yucatecan Mayans working in the United States of America, of which 38 percent live in the Bay Area, working primarily in the restaurant sector. That’s about 68,400 Mayans living busy about the Bay. Of those, the majority (80 percent) are men, most of whom are peasants from the municipalities of Merida, Oxkutzcab, Cenotillo, Mama, Peto and Muna. For several decades now, Mayans have been abandoning their subsistence farming lifestyle to chase dollars up North to wire back home. Mayans need cash, if they wish to build a house and not just a hut; if they wish to send their children to school and not just to the fields. Up and down Mission Street, remittance shops are open for business—Mex Express, Ria Financial Services, Sigue Corporation, Order Express, Western Union, Fantastic International Services, Quick Check Cashing Store—awaiting the migrant day laborer to enter and pay a fee to send their hard-earned money back home. Spurred by Trump’s campaign threat that he would set limits on remittances to pay for The Wall, there was a fury of remittances last year from the United States to Mexico. In 2016 remittances reached an all-time high of $27 billion dollars, equivalent to a fourth of the country’s gross national product. Remittances brought in more foreign currency in Mexico than oil exports or tourism. Yucatecans in the United States accounted for 0.5 percent of these remittances, which in 2016 amounted to $142.8 million. Jose Góngora Pat, at a picnic held to commemorate the life of Luis in Dolores Park, Oct. 7, 2017. When Jose Manuel Góngora Pat was born, he had a twin, who died within the year. There is a belief among Mayans that since twins shared a womb and half the blood of a normal child, that they must be bolstered during their first year of life. By custom, twins are allowed to wander out from an early age to relatives’ homes to receive gifts of food and money. After Jose’s twin died, his brother Luis, older by four years took charge of promenading Jose around town, as soon as he could walk. This was the wit of a child who wanted the benefits of twinhood, but Jose and Luis truly became like twins, despite their different characters. Luis was jovial and vivacious, and Jose relaxed and congenial. When Luis was 22 years old and Jose about 18, their father took them out to a wild patch owned by the family and taught them how to prepare the field for farming. He took them out once and then a second time. “I felt very proud that our father trusted us,” says Jose. 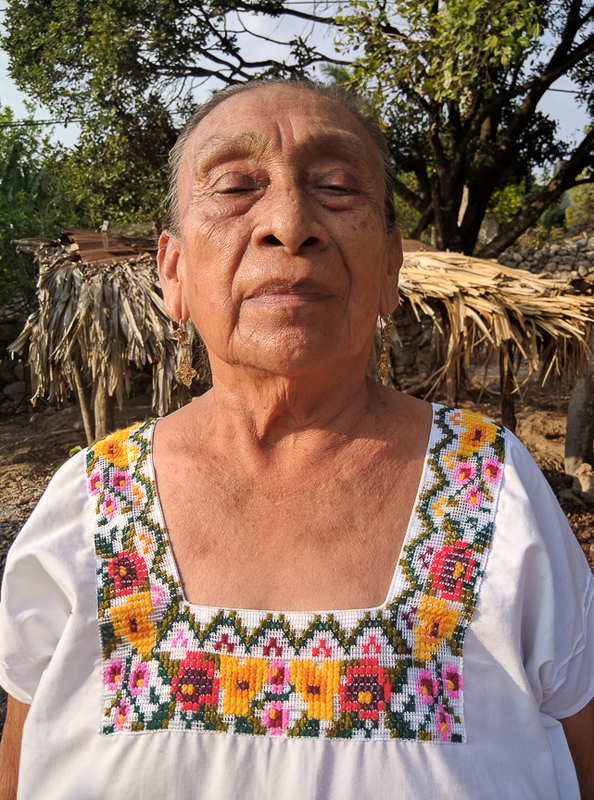 “He taught us how to make the offering of pozole, a specially prepared cornmeal, and ask God for permission to work the field, to clean a field, to burn, to plant, to wait, to take care of the growing crops, and to harvest.” Most Mayans are Catholics, but original customs like this one still prevail. In the field—the “milpa” as we say in Mexico—it is understood that God is in a helpful arrangement with man, but man must pay forward with an offering of pozole. For 19 years Luis and Jose worked the family milpa together. Doña Fidelia del Carmen May Can, widow of Luis Góngora Pat, with her grandchildren, in Teabo, Yucatan, April 28, 2017. Luis first laid eyes on Carmen May Can at a town dance, she was 14 and he was 15. “He was entering the hall to dance and I was exiting when he saw me.” Luis would ask to walk with Carmen down the street. “He was very stubborn,” she laughs. “My father finally accepted him since he knew the Góngora family.” Six years later, Carmen and Luis married. Jose married Isabel Yeh Poot soon after. The young couples began having children. Carmen remembers, “Luis loved to be with his children at the town festivals. I would carry Luis junior and he would carry Angel. He walked around with that child so much!” Rossana, the youngest daughter, arrived two years after Angel. Jose and Isabel also had children, a son and two daughters. The Mayan lifestyle provided for many things, but it did not grow cash. The families needed money to buy shoes and other necessities once the kids started school. Luis started going to Cancun to construction jobs while the harvest was growing. In 2002, Jose was in Oxcutzcab on an errand. Oxcutzcab is just south of Teabo, and while there Jose visited his sister-in-law’s home. His older brother Carlos happened to call from San Francisco. “There was an opportunity to go north, which I felt I could not miss,” said Jose. Luis was in Cancun at the time. There were no cellphones, not even phones then in Teabo. Without a way to communicate this opportunity to Luis, Jose left. When Luis returned, he struggled to keep the milpa going on his own, and figured a way out to head north after José. The fate of one brother was tethered to the other. 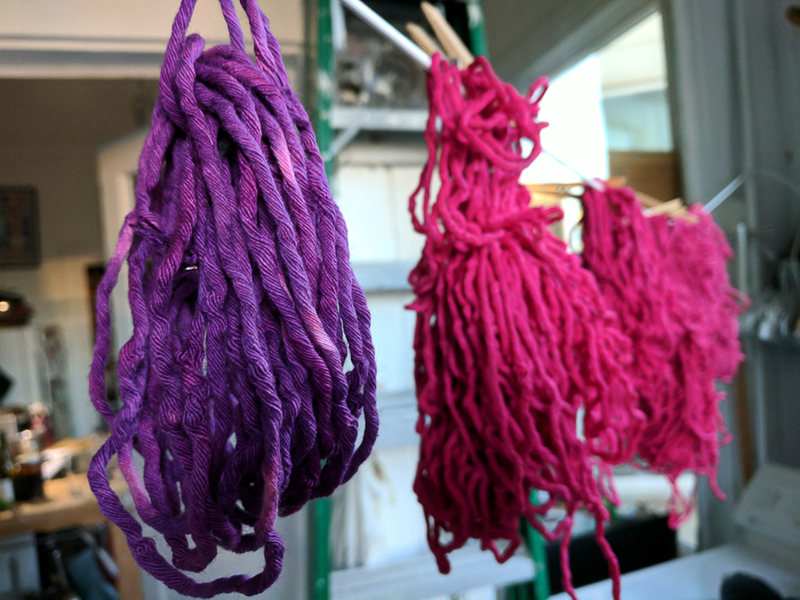 Hand-dyed cotton thread used for “Threading the Life of a Mayan,” a 2017 Day of the Dead altar installation at SOMArts by Jose Góngora Pat, Paz de la Calzada, Adriana Camarena, and Luis Poot Pat. Sept. 26, 2017. Before the two youngest Gongora sons migrated, the family had a subsistence farming life cycle. The day started at the rooster’s call with Jose and Luis going off to tend the milpa, cut wood, and harvest corn. At the same time, the women in the house would wake to get the children ready for school. They would spend the rest of the morning sweeping, washing dishes, laundering, preparing food, tending to the patio animals, and running the occasional errand. Doña Estela, mother of Luis and Jose, would mill the corn with limestone. By noon she would be making tortillas for the midday meal. Don Demetrio, father of Luis, was the town merchant and butcher, which allowed him to provide meat for the family. When the children returned from school at 3 p.m., they would be fed and sat down to do their homework. While the women waited for the men to return, they would embroider and make clothes. The men would arrive with sacks of corn that needed to be shelled and washed in preparation for milling the next day. Their homes were huts made with wood and palm trees; their kitchens were fire pits; their beds were hammocks that they wove themselves. The family barely needed cash. 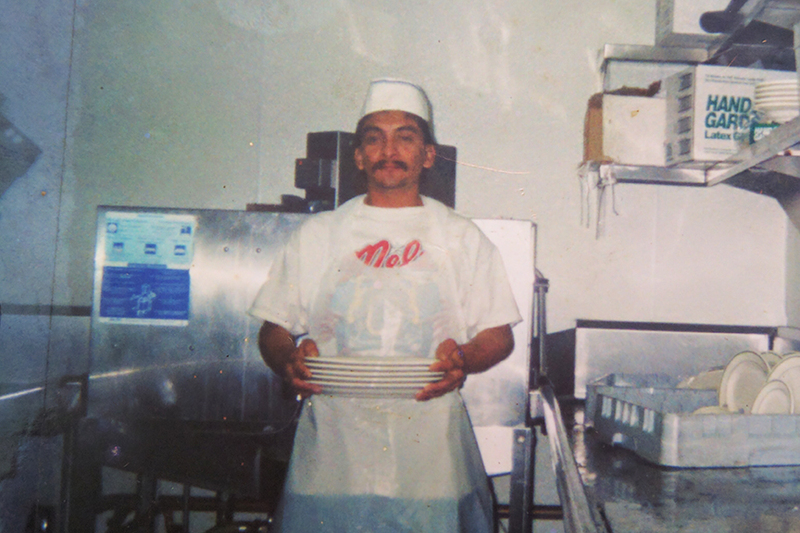 Luis made it up north where he worked successfully as a dishwasher for a steady 10 years at Mel’s Diner at 4th and Mission streets. Doña Carmen would feel when Luis was about to call. “I would just have to think, ‘He has not called,’ and the phone would ring.” During the 14 years of his migration, every third day, Luis Gongora Pat would call his wife, sometimes at night, sometimes at dawn, depending on his shift. Since the phone was in Jose’s home, his sister-in-law would pick up first. “Who’s calling?” Isabel would ask. “Some crazy guy,” he would answer playfully. Doña Carmen would then be fetched. “I was thinking about you. I believe I guessed you first!” He would ask about his children, his cousins, his parents, asking to talk to them by turns. Luis and Angel, his sons, last saw him when they were nine and eight years old. Rossana was only six when he left. He would call and ask specifically for her. “He would give her whatever she asked for,” says Doña Carmen. 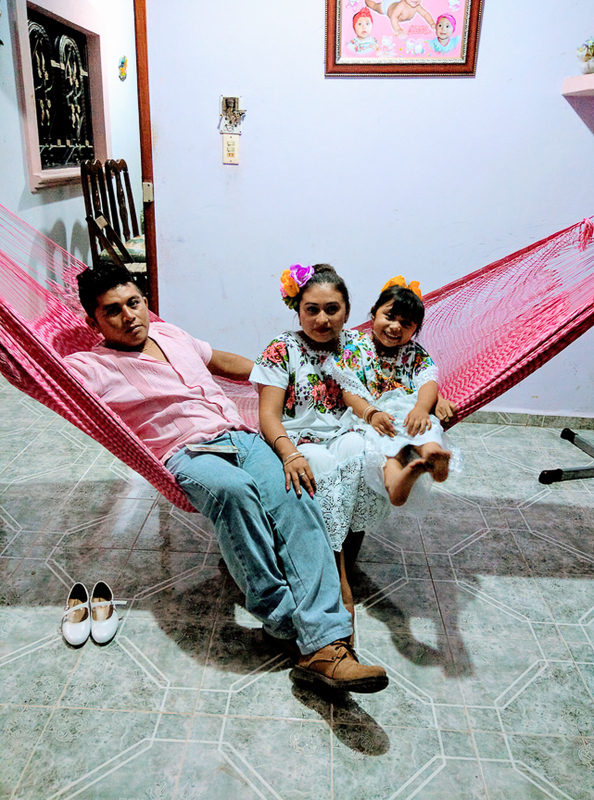 Every year for the town festival of the Santa Cruz de Mayo that starts in late April and runs through May 3, Luis would send Carmen money to buy an expensive “hipil.” The hipil is the traditional dress of the Mayan mestiza woman. 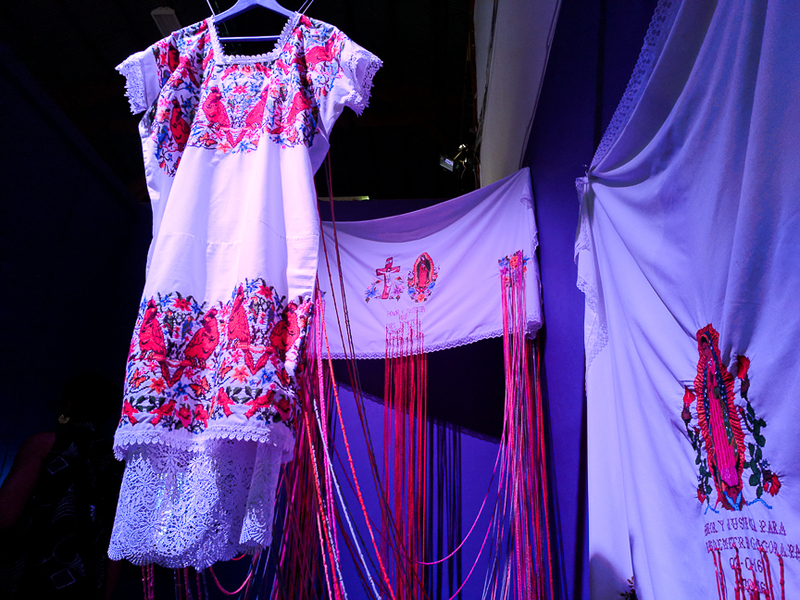 Doña Carmen wears an hipil every day, but a festive hipil such as the one Luis would gift her would have thick bands of exquisite embroidery around the neck and the hips, with ends finished off in lace. Such an hipil might take three months or more to embroider. 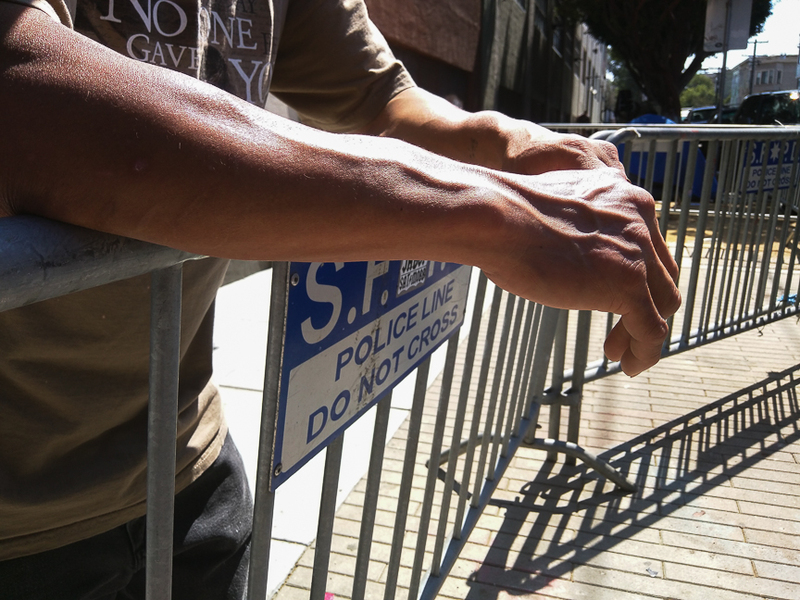 Jose Gongora Pat, close to the site where his brother was killed, leans against a police barricade used to keep homeless people from camping on the sidewalk. Luis lost his job at Mel’s around 2013, when the Mayan manager left and there was no one there to help him understand orders. At the time, his brother Jose helped manage a property in Placerville. Every two weeks he returned to the apartment he and Luis shared, at the corner of Valencia Street and Market Street. One day Jose returned and found the locks changed and their entire set of furnishings and belongings in the dumpster. He picked up a portrait of his family and an image of the Virgin of Guadalupe and that night, he slept on the street. “For three months, we did not hear from them. Jose called first,” said Doña Carmen. The family in Teabo learned the brothers were on the street. Remittances became scarce. Jose was helped back on his feet by his cousin Luis Poot Pat, and they planned to help Luis next; maybe even raise funds to send him back home. 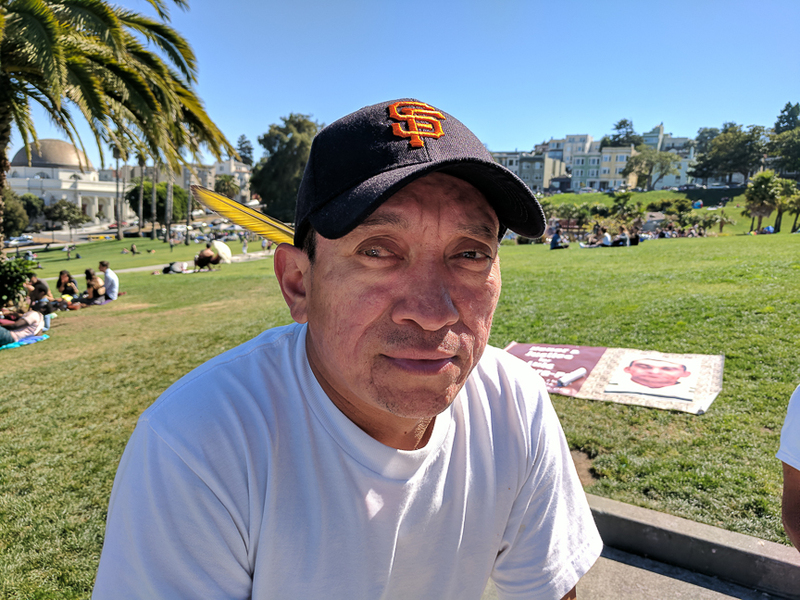 Meanwhile, Jose visited Luis often at his home in an encampment on Shotwell Street near 19th, sharing breakfast and phone calls back home. Doña Carmen’s father offered to have Luis start off farming again with a little plot of theirs. 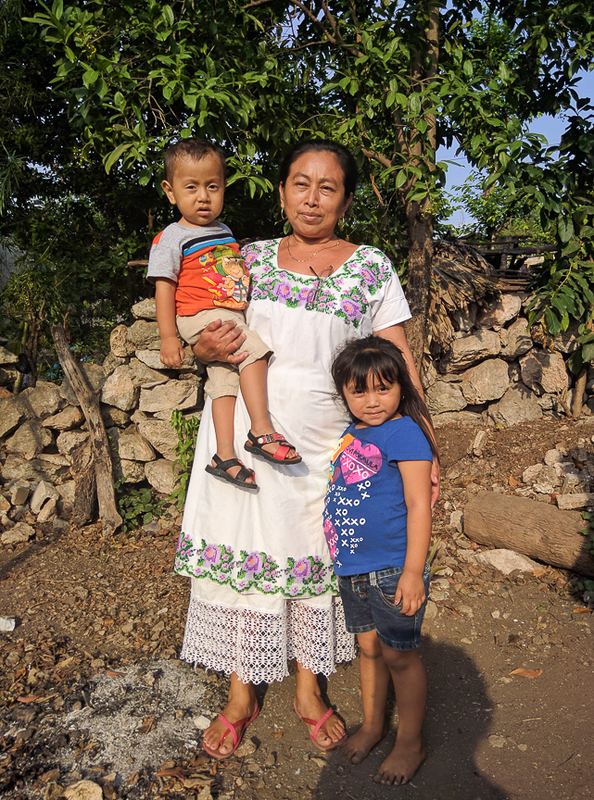 “But he wanted so much to help maintain our house that would be Angel’s one day, help Luis junior finish building his house, and help Rossana with hers too,” she said. 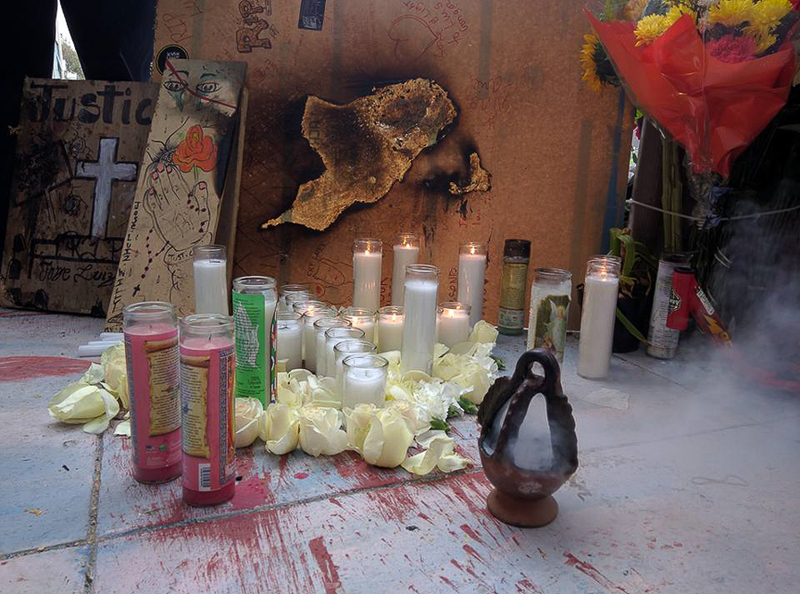 Altar for Luis Góngora Pat placed at Shotwell and 19th streets on May 7, 2016, one month after he was gunned down there by SFPD officers. In early April 2016, the phone rang. It was Jose who spoke to his wife, Isabel. Isabel hung up, and crossed the patio to Carmen’s house. She found her in the kitchen and told her Luis had died, killed violently by police. A week before he was murdered, Luis had called, asking for Rossana, but both mother and daughter were out. A few weeks before then, he had talked to his mother Doña Estela, and told her he had found a job. Idyllic Teabo turned into hell for the family. The news exploded and so did the gossip: Mayan killed by police. Doña Carmen fell ill, she was taken to the hospital. In her absence, neighbors speculated about all things, including that the family was kidnapped. A government official advised Doña Carmen to refuse the repatriation of the body to preserve evidence. Doña Carmen struggled to understand her duties in the face of a killing that demanded justice. A lawyer was sent by the Mexican Consulate to have her sign papers. When she stalled on signing off on the body, Luis’s extended family mistook her efforts to claim justice as lack of love. She was devastated, and caught in a multiplication and escalation of trauma. The body of the deceased finally arrived at the start of the town festivities for the Cruz de Mayo, Luis’s favorite town affair. His remains were carried into the temple in a crush of people, who had arrived for the town festival and instead found a funeral. On Nov. 3, 2016, Doña Carmen wore the last hipil Luis ever bought her, three years before his death, to attend a press conference in Merida, Yucatan. San Francisco supporters with Adante Pointer, her African-American lawyer, had organized this event. Supporters traveling together from the Bay Area were my partner, historian Chris Carlsson, Poor Magazine writer and activist Tiny Gray García, her adventurous 13-year-old son Tiburcio, and myself. 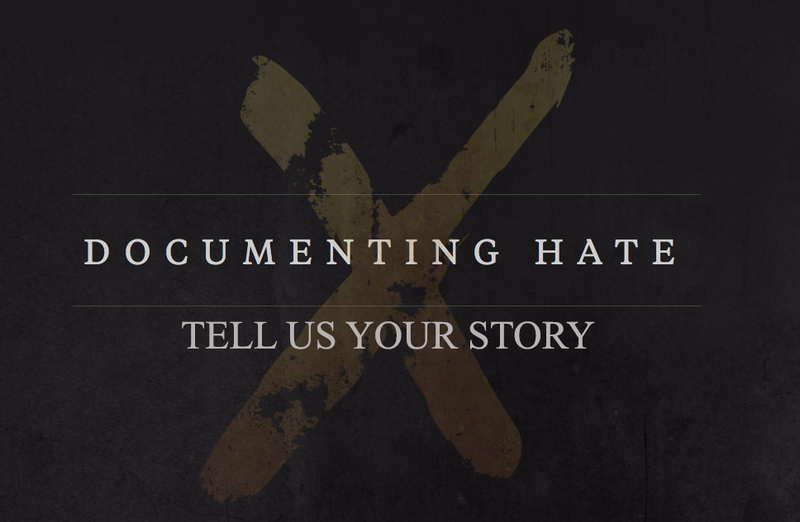 We wanted to give Luis’s wife and children a chance to set the record straight in the Mexican media about his unjust killing, based on witness testimony and his autopsy. Luis was alone and causing no harm. He was shot to the back with five large hard rubber bullets, while sitting. As he stood in fright, he was shot down with seven metal bullets. For no reason, his conscious life was taken by an execution shot to his head as he lay injured on the ground. He still took hours to die. According to the Medical Examiner’s report, Luis was shot shortly after 10 a.m. He died in San Francisco General Hospital after surgical procedures nearly three hours later at 12:42 p.m.
Two days before the press conference, we had visited Doña Carmen at her home. On the altar was a framed portrait of Luis, as a young man, placed between a Christ and a Virgin, resting in the glow of yellow and red glass-encased candles. La rezadora, the prayer-giver, led the rosary, while Isabel and I responded to her chant. We sat in plastic and wood chairs praying towards his altar, looping through the nine mysteries, until the final Hail Holy Queen. Beads of sweat had been running down my back in the swelter of the Yucatecan jungle. We rose to call the others who had gone to the back patio to see the humble homestead between the family huts and houses. Upon seeing the backyard, Tiny who had experienced homelessness throughout her life, cried out “Homefulness!” and my companions set off to meet the pigs, roosters, hens and bulls shaded by a variety of fruit trees. This was Hanal Pixán, the feast of the spirits, the name Mayans give to the feasting that accompanies the Days of the Dead from Oct. 31 to Nov. 2. After la rezadora left, Doña Carmen shared with us the candied fruit that had been offered earlier in the morning to the deceased: yucca, mandarin orange, grapefruit, and jicama. At midday, a savory dish was offered to the deceased with another prayer. Luis was served “escabeche,” a local delicacy made with home-raised turkey, chicken and ground pork, stewed in pepper, orange and tomato. Later in the evening for supper, after we left, they would serve him bread and hot chocolate and pray again. Luis was not yet seven months dead when we visited Teabo. “I was taught,” says Doña Carmen, “that during the first year of a person’s death you should not talk too much to the deceased, nor set out too much food for them, otherwise you will not let them go. Do not light many candles or they’ll say, ‘You are burning too much for them.’” Doña Carmen refers to the belief that when a candle burns tall and bright, a spirit is near. His family does not say his name out loud, referring to him instead as ‘the deceased’. “Where is the deceased now?” I ask her. After communing with the spirit of Luis, we visited his grave in the cemetery. We were caught in a tropical downpour at the entrance. We were huddling under the temple roof with Luis’s wife, daughter and nieces, when the undertaker came along and casually told us stories of ghost sightings. During that trip to Teabo for Days of the Dead, we arrived carrying a handmade quilt, made over several previous weekends in the Mission. A diversity of community members from San Francisco contributed hand drawn and hand sewn squares that were later put together through hours and hours of voluntary labor, mostly from female activists, in the tiny sewing shop of Praxis on 24th Street and the back room of Alley Cat Bookstore. We had threaded our thoughts in English and Spanish in an American format of quilting, as a way of speaking back to the art of embroidery for which the town and women of Teabo are known. “Love and Justice for Luis Góngora Pat,” “Honor of a Mayan,” “No Justice No Peace,” “Love Always,” “We Will Get Justice! We Love You!,” “The Heart Knows No Borders,” read the quilt, heaped with handmade hearts, suns, frogs, and flowers, and in the middle of the quilt, a giant blinged out Virgin of Guadalupe. At the end of April 2017, I returned to Teabo to see Luis’s family one year after his passing, and experience the famed town festival for myself. I was given an hipil as a gift from the family of the deceased in Yucatan and San Francisco to wear to the party. The hipil is richly embroidered with bright-red cardinal birds. Cardinals do not migrate, like Doña Carmen, who remains in their hometown of Teabo, Yucatan. 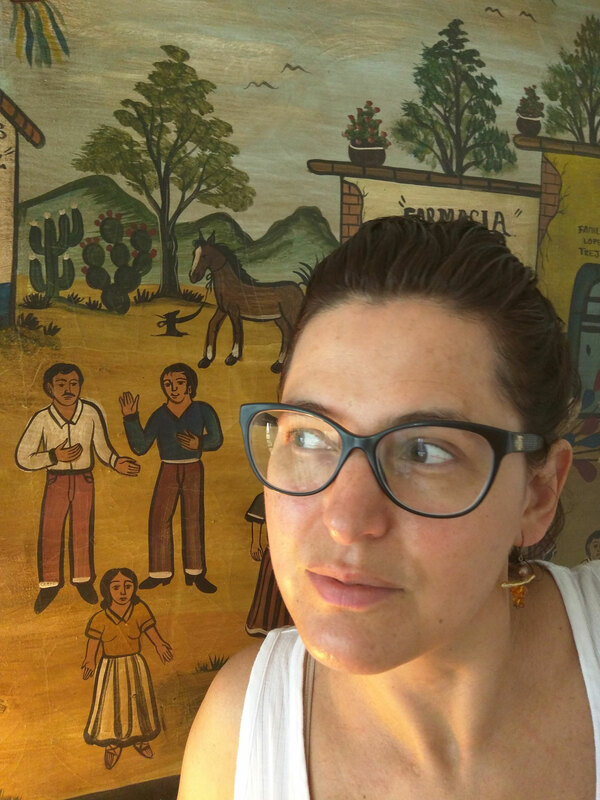 With a border traced between them and a green card in my hand, I am a connecting thread between two broken ends of a migration story: Jose, holds one end in San Francisco, and Carmen holds the other in Teabo. In between, a growing human chain of supporters—Tiny, Pearl, Nancy, Flora, Laura, Sylvia, Adrienne, Mary, Bilal, Dayton, Luis’s extended family, myself, and many more—are attempting to mend the ripping damage of the senseless killing of a Mayan man by San Francisco police. Doña Estela Pat, mother of Luis Gongora Pat, in Teabo, Yucatan, April 28, 2017. By nature, thread tangles. This year for Day of the Dead in San Francisco, Jose and I worked alongside artist Paz de la Calzada on threading an altar for Luis Demetrio Gongora Pat at SOMArts. We dyed a giant spool of cotton thread in my home into various colors. Once dried, Jose adeptly untangled the thread by applying his hammock weaving skills to the task, creating coils to work with later. During our installation, Jose would pass along untangled thread, and Paz and I would gently stitch the thread to the embroidered text on two Day of the Dead altar cloths. Both altar cloths were handmade in the Mayan mestizo tradition by Luis’ cousin Luli, with religious iconography and the name and dates of birth and death of the deceased embroidered on. 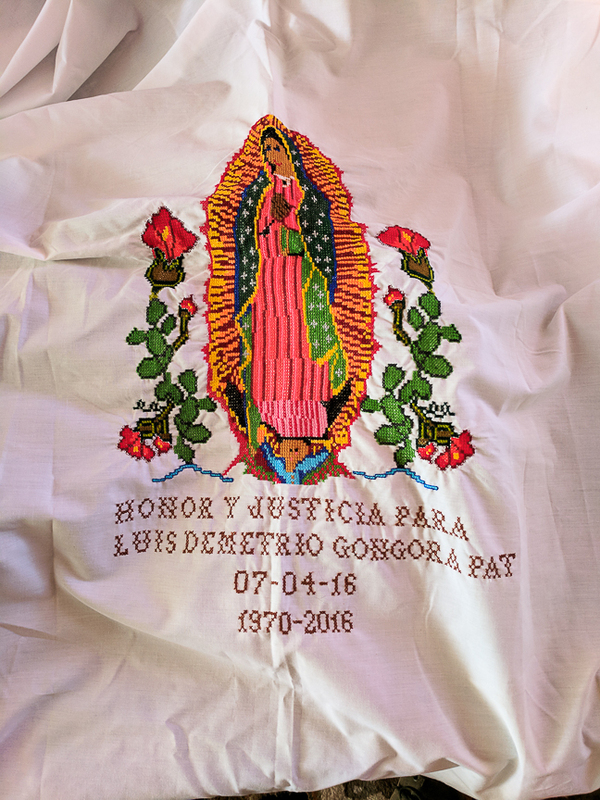 The text on the altar cloths reads, “Honor and Justice for Luis Gongora Pat.” A protest was embedded in her artwork. We strung our threads from the protest text on the altar cloths to the embroidered textile of the cardinal hipil; linking worded protest to the handwork of the Mayan women of Teabo. Theirs is a story of Mayan honor, a demand for respect from a humble indigenous family that was forced to suffer migration. Please join the author for a special Day of the Dead public reading of “Threading the life of a Mayan,” on Nov. 2 at 5pm at the Altar for Luis Gongora Pat, located at Shotwell Street near 19th Street in San Francisco. The next issue of “Unsettled in the Mission” will be published in the Feb. 8, 2018 issue of El Tecolote.